ShaanXi (not to be confused with ShanXi as I did) is a Chinese province best known for its capital Xi’an, home of the Terracotta Warriors. What many may not know is that they also have great food. 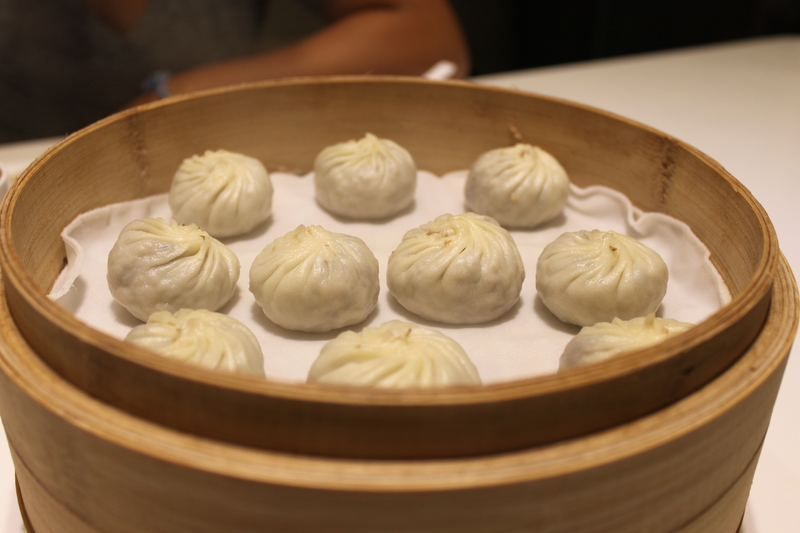 This was the best meal I have had yet in Beijing. We did our research on where to go and what to order and it was worth it. We went to QinTangFu (秦唐府) in the ChaoYang District. A short walk west from the Chaoyangmen Subway Station. We entered the restaurant to find a large room filled with Chinese. (Crowd Theory: Crowded? Yes. Natives? Yes.) The chairs and tables are wooden and sit extremely low to the ground. The service is fast and the waitresses are nice if you speak Chinese. 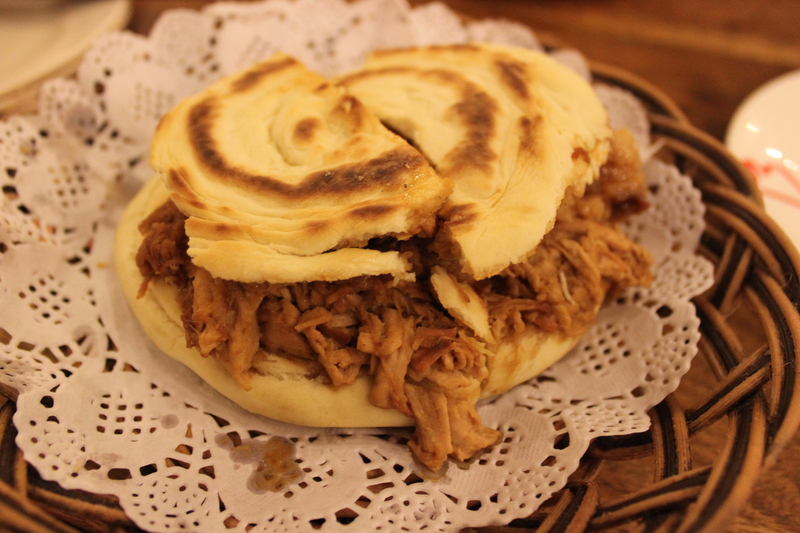 ShaanXi Pork Sandwich (LaZhi RouJiaMo or 腊汁肉夹馍) – juicy, soft pork surrounded by dense, flat bread. What’s not to love? Eat it while it’s hot though, it doesn’t sit very well. Garlic Greens – garlicky, oily, good, but nothing special. YouPo CheMian (油泼扯面) – this was another dish we had been looking forward to. 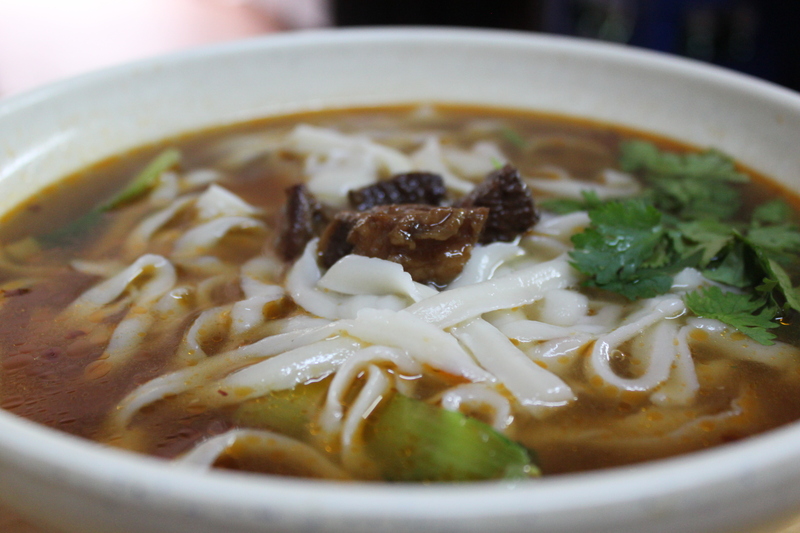 Xi’an is known for their Biang Biang Noodles, a special kind of noodle that is thicker and wider than most Chinese noodles. 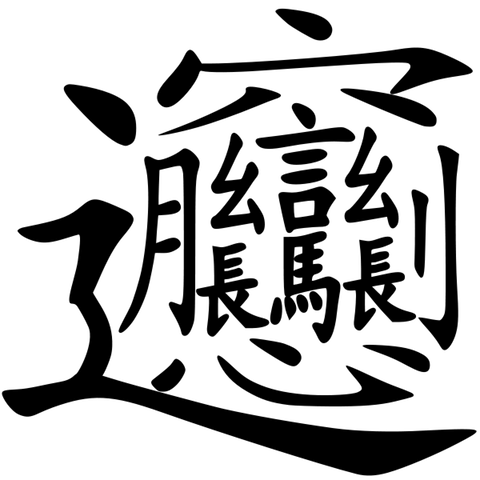 (Sidenote: ‘Biang’ also happens to be one of the most complicated characters used in the Chinses language, as seen below.) 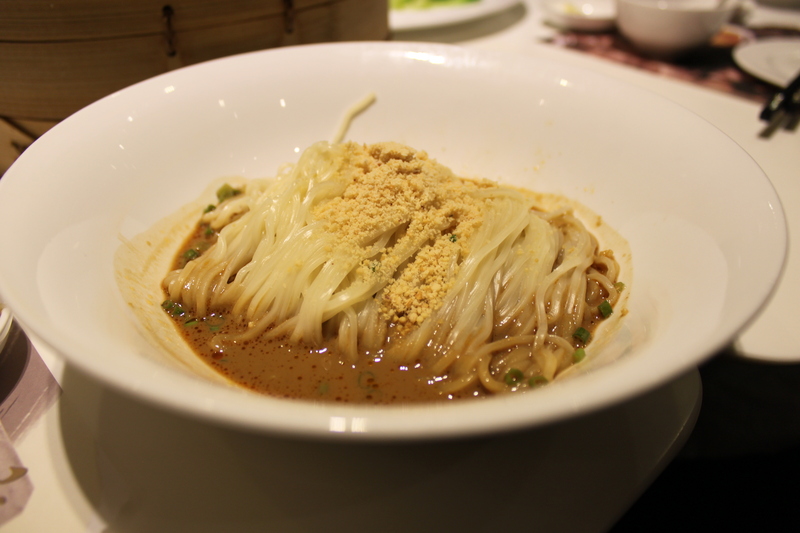 These noodles were served with some greens and bean sprouts in a perfectly spicy sauce. The balance of flavors was spot-on. The noodles were bomb. Step 1: Cut a whole in the box. The actual Step 1: shred the dense flatbread into tiny nail-size pieces. 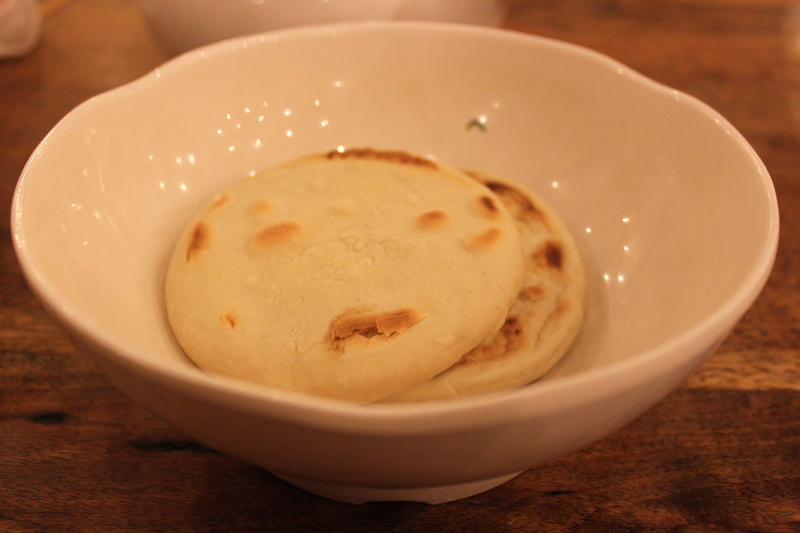 According to Anna, in Xi’an your dining mates will judge you based on how well and how finely you crumble your bread. Step 2: The waitress will take your bowl of crumbled bread and fill it with broth, Chinese mushrooms, vermicelli-like rice noodles, and of course, lamb. Step 3: Garnish with a little cilantro and hot sauce if you wish. Pickled garlic is provided on the side. Step 4: Dig in to a fantastically home-y Chinese lamb stew. Contrary to what I believed before arriving in Beijing, the Chinese city is not overflowing with gloriously rich Chinese food to gorge on. Instead, in my efforts to be “one of the people” (à la Dad Lowe) and immerse myself, I have found much of the daily food enjoyed by natives to be good – not great. Granted, I have also found many everyday dishes in Beijing that I would kill for on any day in America. One of my goals for my time in Beijing is to differentiate the latter from the former. Beef noodle soup (or NiuRou Mian) with knife-cut noodles from Planed Noodles (刀削面), a small shop on a side road off of the North 3rd Ring Road near Liangmaqiao Subway Station. Despite the small amount of beef in the soup, the broth was abound with flavor – one of the most flavorful broths I have ever tasted thanks to the nuts, meat, cilantro, and other vegetables used. Little carts selling Chinese pancakes can be found on most streets in Beijing. The top photo features a delectable rolled pancaked with scallions. 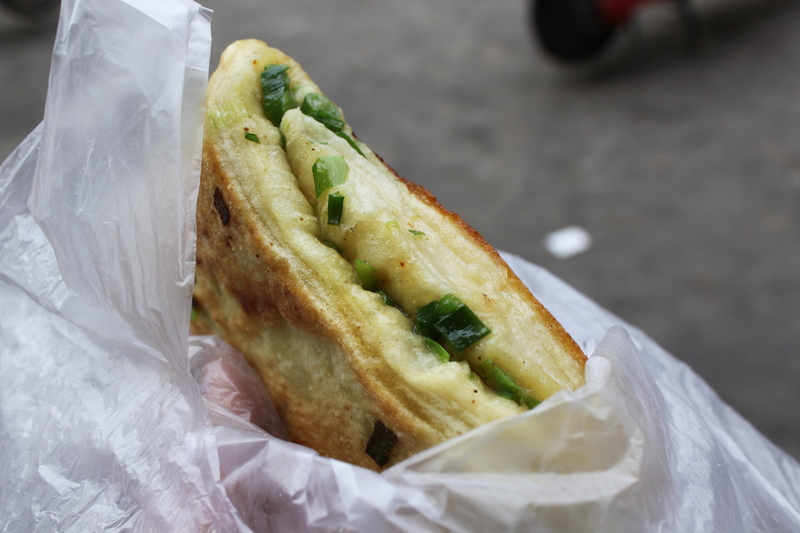 Our local produce market has a stall where I will also occasionally pick up a piece of large, flat pancake (like a large Chinese crepe) with egg and scallions within the pancake. The flavor is subtle, perhaps a bit bland for some, but the texture is great and I love them. 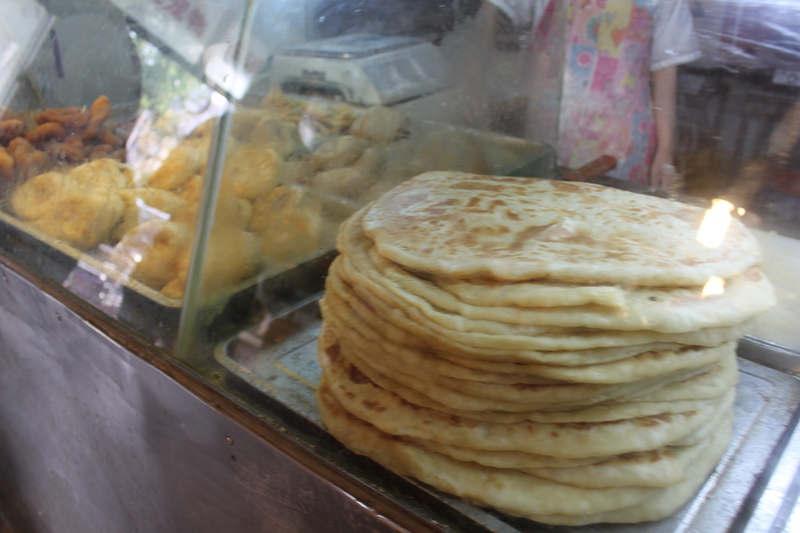 Every morning, commuting Beijingers will pick up plastic bags with rolled pancakes of assorted meats and vegetables for breakfast along with some DouJiang (soybean milk). I was quite excited to try one of these pancakes, but found it to be disappointing. The flavors and textures were sub-par – the combination of pancake and potato created an overall mushy texture, and the meat did not taste great either. It also may have just been a case of a bad Beijing pancake. This small marketplace lies off of Nanluoguxiang – honestly one of my favorite areas of Beijing. 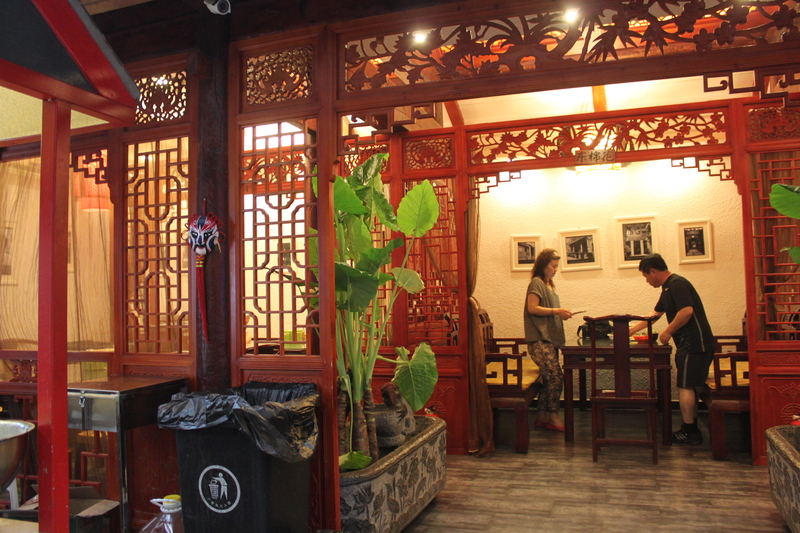 Nanluoguxiang is a quaint, but touristy Hutong, but the majority are Chinese domestic tourists. 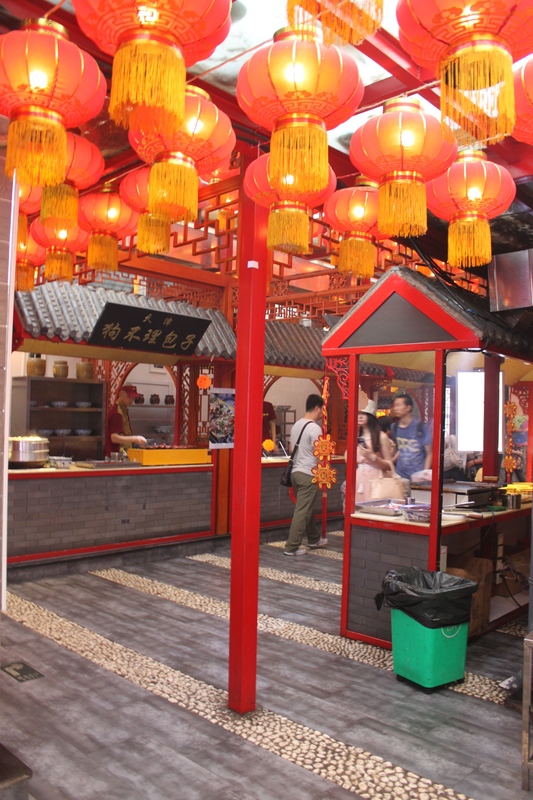 This marketplace has small stalls with vendors each selling a different dish. The setting is clean and features a nice seating area. Egg filled with rice and meat. 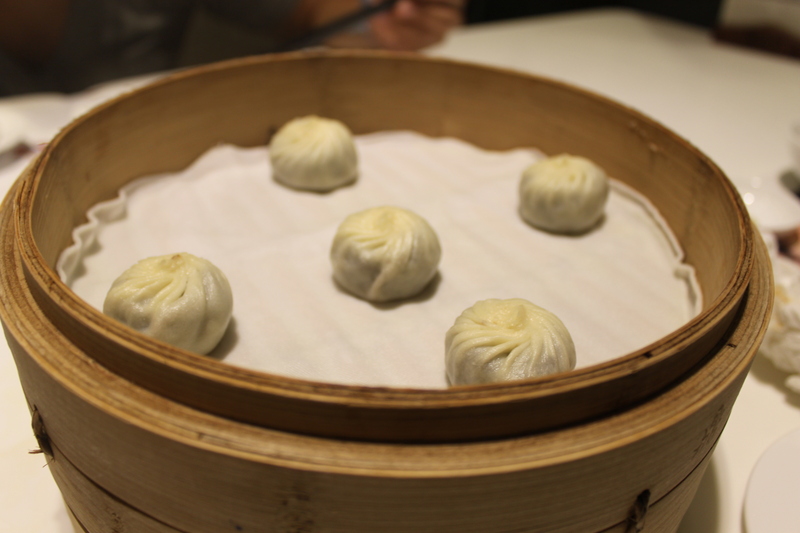 The size and shape of these buns were similar to XiaoLongBao (or Shanghai Soup Dumplings), but the outsides were bread (like mantou or baozi). 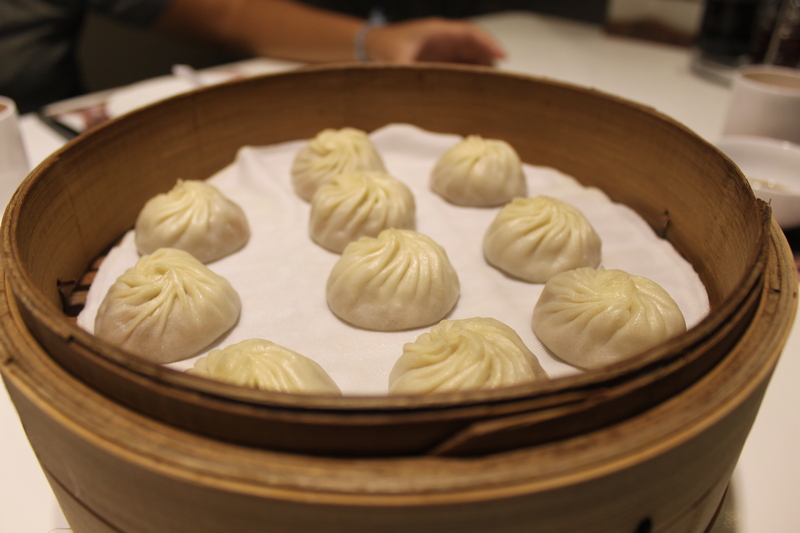 They were fluffy and thin on the outside, and exhibited a great bun to meat ratio. 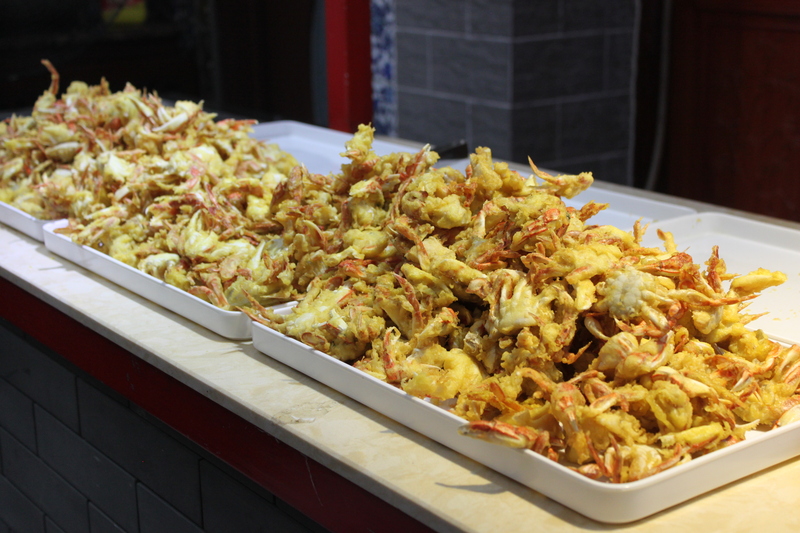 They were especially tasty after hours spent on our feet walking and exploring. Beijing’s Hutongs serve as a respite from the hustle and bustle of the big city, a reminder of its traditional cultural beginnings, and a great place to walk, explore, and experience Beijing. 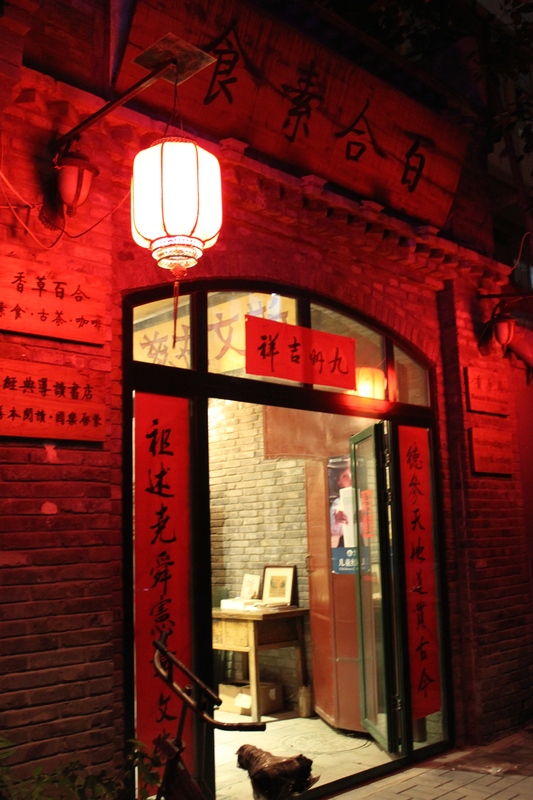 Last Thursday, my friend Anna and I decided to set out to Dongcheng – we both love Nanluoguxiang and the surrounding area’s Hutongs and wanted to explore some more. We ended up at Caoyuan Hutong where we entered Baihe Vegetarian Restaurant, or 百合素食 (BaiHe SuShi), for a meal. The restaurant is located around the courtyard through this little foyer/book store. The restaurant is clean and serves a mix of locals and tourists. We knew that we weren’t heading into a local dive given that we saw BaiHe in the Lonely Planet Beijing Guidebook. Nonetheless, the food was quite good. 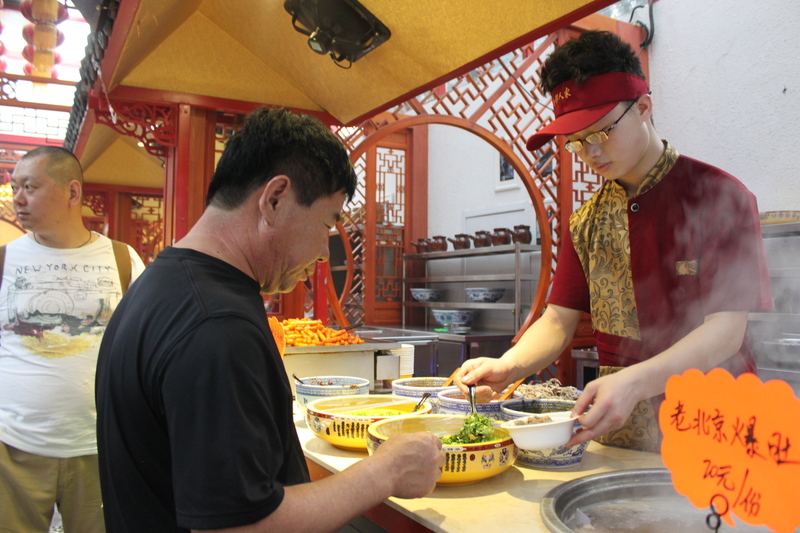 Given the ancient Buddhist tradition, vegetarian food is an art that has an established history in China. Mostly, vegetarian dishes will mirror a dish that usually involves meat – using soy to replicate the texture and taste of the specific meat. If you haven’t already tried vegetarian Chinese cuisine as such, I would recommend it. It’s an experience – most people find it surprisingly good. Buddhist vegetarian food is a healthy twist on Chinese food, while remaining traditional. We sat outside in the courtyard on a gorgeous night. The menu is huge and features large pictures and graphics. The waitresses don’t speak much English. Chinese service is generally sub-standard, but you get used to it and learn to yell a little louder to get anyone’s attention. 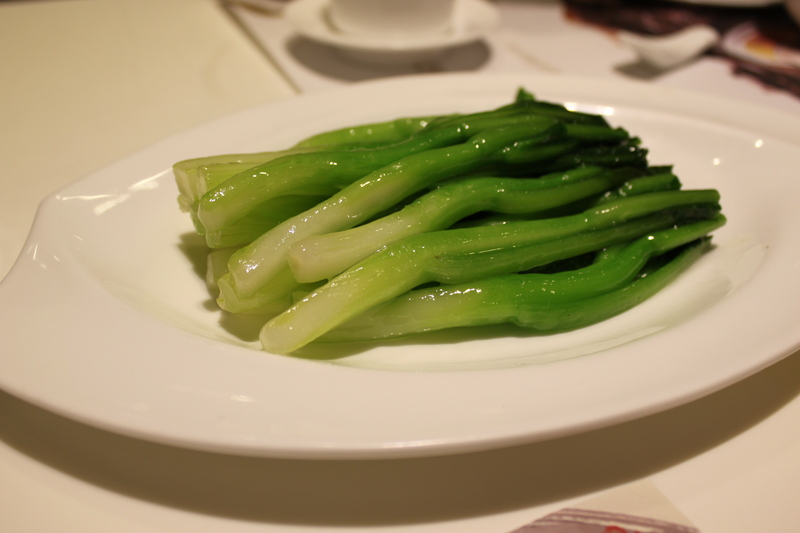 We started off with a cold dish, or a LiangCai, in hot oil. I was not the hugest fan. The main flavor was pure spiciness, setting my mouth on fire. Anna liked it more. Beef and Bok Choy. The flavors here weren’t original, but recreated extremely well without actually using meat. This dish was fabulous. It came in a startling large bowl, but we soon discovered it was more shallow than it appeared. 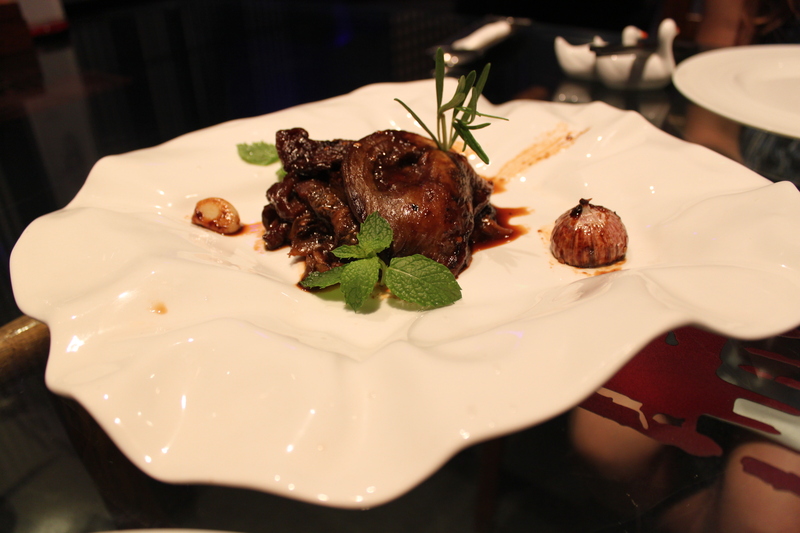 The dish used Mala with Sichuanese peppercorn that creates a slow, mild burn in your mouth.Together, with the imitation fish and vegetables, the dish displayed a complex combination of flavors and textures.